The Matcon Blender eliminates the time-consuming and costly cleaning associated with traditional stationary mixers such as V-blenders, double cone or other fixed shell blenders as the IBC itself is the blending vessel. This enables fast changeover between different batches or products. Blended product is taken directly to the next process stage removing the risk of segregation on transfer. 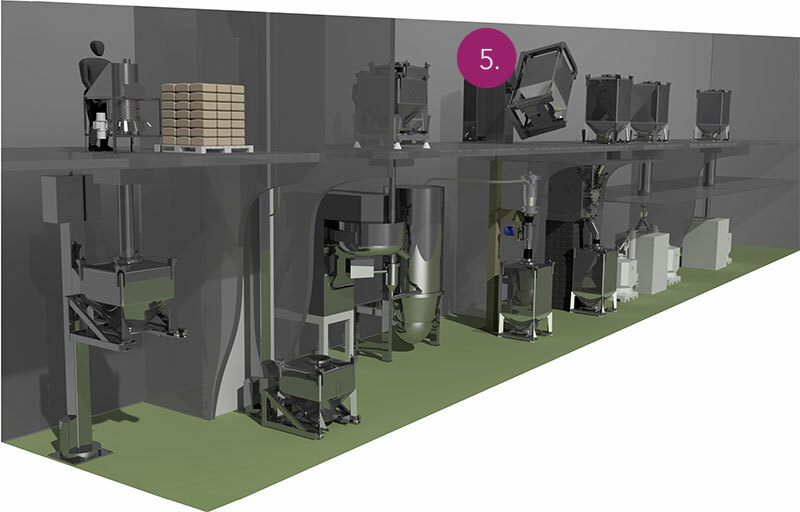 The IBC Blender has a small footprint therefore requires less space and means that clean-room demands are reduced, for a more cost-effective building design. 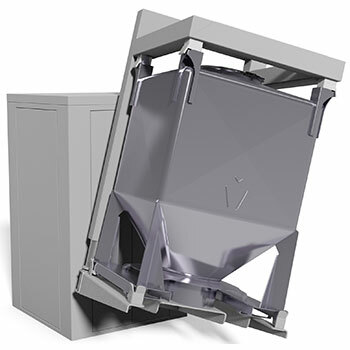 The Matcon Blender is able to accommodate IBCs of varying sizes. A single blender can blend batches from 20kg to 1400kg. With blenders up to 3500L we can cater for many different needs. One single blender is able to replace multiple fixed mixers for a more efficient blending process. Vital in a multi product facility. Single plinth, through-wall installation available. Tumble-blending controlled by speed and time. High OEE rates of blending with quick IBC changeover. Validatable blending for powders or granules. Discover how a change in materials handling can give manufacturers an ‘edge’ over their competitors. A single Tablet IBC can replace multiple drums & offers automatic filling capabilities, whilst gently handling tablets & capsules. Cone Valve IBCs have the unique ability to be able to handle the solvent rich, “wet cake” solids between the centrifuge and drying processes.